Available as a TWO (Spring, Fall, and Winter Seasons) OR THREE BEDROOM (SUMMER SEASON). Two amenity cards included with a full week rental. Our villa has been totally renovated as of 2009. Living room sofa, love seat, rugs, throw pillows new in 2016. King mattress new in 2016. New floors through out living areas and bedrooms 2009, completely renovated bath with tumbled marble accents 2007, master bath w/slate accents 2009, completely renovated kitchen including lighting, tile floors, tumbled marble and new cabinets 2007. All new furniture in 2005 and 2006,living room complete with new 37 in HD LCD Flat screen TV(2009) and DVD, dining room, King and Queen bedroom with LCD TVs 2009, Queen with new mattress, new Ralph Lauren luxury bedding for your comfort. New lighting/ceiling fans in all BR 2009, new windows and doors 2009, plantation shutters 2009, pictures - everything you could want in a vacation RENTAL AND, *** BEST OF ALL ITS JUST 75 YARDS TO THE BEACH ***. Our ocean view villa is located on Fripp’s best beach in the ONLY area on Fripp Island with beach available at all tides. You can walk out to the ocean and access the beach using the PRIVATE sidewalk and PRIVATE beach access. Enjoy the ocean view and breeze while sitting on the COVERED patio or grilling your favorite foods. Two Fripp Island amenity cards are included with a 7 night rental. Additional cards may be purchased at the Fripp Island club member price in advance of stay. In addition, the Resort offers 3 night/4 day cards and monthly cards which may be purchased through the owner in advance of stay. 75 Yards to the Ocean/Beach. Covered Patio with patio table and seating. Five seperate pools available on the island. Obviously this property is well taken care of and very convenient to most locations at Fripp. Our next visit to this fun island will hopefully find us right back here. We were happy with our stay at this property and with our visit to Fripp Island in general. We've developed some higher standards over time, and this place met them. The owner was responsive before and during our trip. The guy who maintains the property day-to-day checked on us to make sure everything was OK. The interior is nicely furnished and decorated and cared for. Fripp Island is lovely, and the beach was clean and uncrowded despite this being a holiday weekend. A couple comments that a future reader might find helpful: (1) You can indeed see the ocean out the window, but it's not a full-frontal view. The complex is shaped like a horseshoe, so everyone can see a slice of it, but you're looking down the length of the inner courtyard. This unit is also on the ground floor, so the view is somewhat obscured by a berm. But you can see the water, and it's close enough that even our 1 year-old could easily walk to the beach. (2) I agonized a little over the decision to get amenity cards, and in retrospect I wish I hadn't. All we wanted was to sit on the beach and in our villa, cooking our own meals from groceries that we brought, but I recognized that we might need some other food in a pinch. Seeing that the "food court" was right next door, and leaving the island would be a 30+ minute round trip, it seemed like a good idea to just get the cards. Well, the "food court" is more like a crappy gas station convenience store, and it turns out that you can also buy snacks at the marina store (another crappy gas station convenience store) without having cards at all. Great location! Love the decor in the condo. it was very clean and had everything we needed. We have been coming to Fripp for almost 40 years and have stayed in various villas - this is one of the nicest. Nice view of the ocean form the patio. Comfortable beds and furniture and nicely decorated condo. We left 2 shirts in the condo and housekeeper graciously offered to mail them back to us. Overall, a wonderful vacation in a great condo! 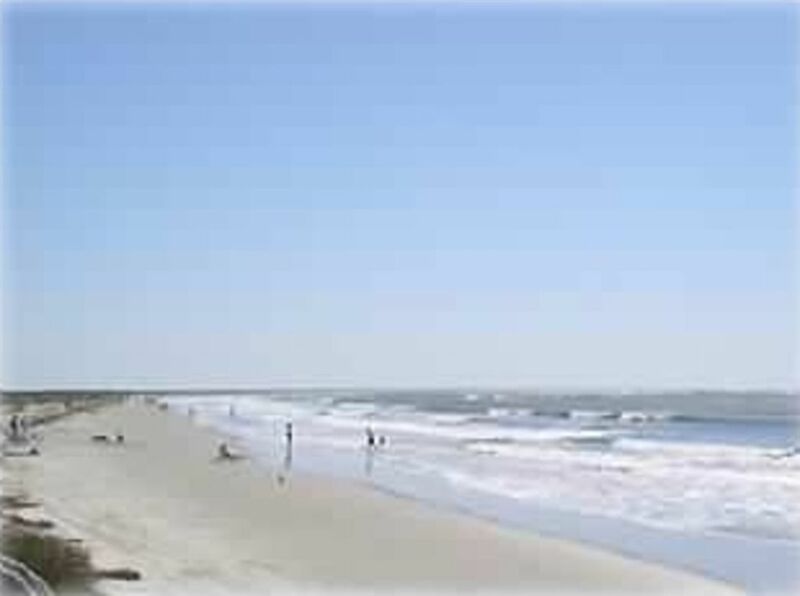 The condo is in the perfect location on Fripp Island, just minutes to the beach. The condo is clean and very well appointed. Will stay here again! We absolutely love staying at here. This has been or family tradition for 10 years. We absolutely love staying here. This has been or family tradition for 10 years.